Global agriculture must cut its reliance on fossil fuels if it is to feed a growing global population, says a recent report from the United Nations Food and Agricultural Organization (FAO). Global agriculture contributes a sizeable chunk to the carbon footprint of the world. According to the FAO report entitled “’Energy-Smart’ Food for People and Climate”, food production (from production to consumption) accounts for about 30% of global energy use. This includes providing crop irrigation, housing livestock, and transporting food stocks. Unfortunately, the greenhouse gas emissions attributed to agriculture undermine the sustainability of the global food system, and call into question the ability of the world to feed itself in 2050. 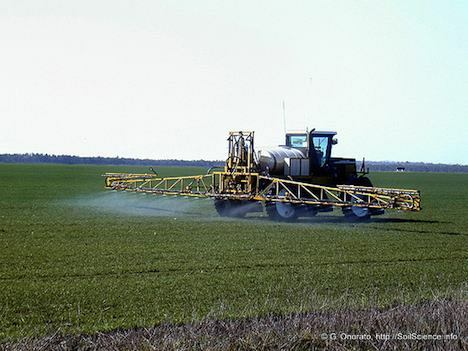 The FAO attributes such high levels of degradation to intensive agricultural practices which have depleted soil nutrients, polluted aquifers, and eroded soil. The FAO calls for a “sustainable intensification” of agricultural practices in order to increase food production by 70% to feed the Earth’s 9 billion inhabitants in 40 years. Part of the ‘Energy-Smart’ approach the FAO advances includes the adoption of more fuel efficient engines, the use of compost and precision fertilizers, targeted water delivery and monitoring systems, and the use of less input-intensive crops. Furthermore, the use of local renewable energy sources could improve energy access, reduce fossil fuel use, and lower pollution attributed farming practices. However, the FAO emphasizes that the “transition to ‘energy-smart agriculture’ needs to start now. If significant action is not taken soon to improve the sustainability of the global food system, we could be facing some very severe food shortages in 2050.